Steve Pavlina about trying something and "connecting the dots"
Here's a very inspiring text by self development author Steve Pavlina, about how we never know what knowledge and skills we'll find use for later. If you like it, follow him on Google+ or Twitter, and check out his free and extensive website. During his 2005 Stanford commencement address, Steve Jobs told a story about connecting the dots. He noted that sometimes we can't predict how we'll be able to apply our knowledge and skills later in life. For instance, Steve learned about calligraphy at Reed College, with "no hope of practical application." Years later, he used this knowledge to include advanced typography and proportionally spaced fonts in the design of the Mac's operating system. Steve said that he couldn't have predicted this outcome in advance, but 10 years later he was able to connect these dots looking backwards. By then the long-term value of that calligraphy class was obvious. Another point he stressed during that speech was that in order to set yourself up for connecting the dots, you must follow your intuition. When he first enrolled at Reed College, he had to take required courses that didn't interest him. Then he dropped out and sat in on classes that truly interested him for another 18 months. To choose these classes, he followed his intuition. When I was 10 years old, I was exposed to my first glimpse of BASIC programming. At the time I didn't know what intuition was, but I became very interested in computers. I used to save up my money to buy programming books at the bookstore. One of my favorites when I was 13 was Dr. C. Wacko's Miracle Guide to Designing and Programming Your Own Atari Computer Arcade Games. I had no idea where this would lead. I didn't set out to become a programmer. I was simply motivated by curiosity and wonder. I ended up learning to program computer games before I'd really had a chance to play many of them. Most of the early games I played required typing in BASIC programs by hand. Then I could run those programs and play the games. Since I had the source code, I was able to learn how simple games were constructed. I'd try to imagine how the game would work while I was typing in the code. Since I couldn't type very well, I picked up a lot of early game programming techniques by typing in other people's code one line at a time. I learned to type in BASIC long before I learned to type in English. I had no idea that years later I'd be writing my own computer games and selling them to people all around the world. All I knew at the time was that I was very curious about programming, and I wanted to learn more. I went to college and picked up degrees in computer science and mathematics, but on a practical level those were largely worthless. I was already working on my first commercial game project while I was still in college, and it was selling in software stores like Comp USA shortly after I graduated. I was able to do this work because of what I learned between ages 10 and 18 on my own. I gained more practical value from Dr. Wacko's book than I ever did in college. I went to college for logical reasons, but the payoff came from following my intuition. I don't think it's always true that we can never connect the dots looking forward. I was able to do that with public speaking. I expected I'd eventually start doing my own workshops, and so I made a commitment to learn public speaking. I practiced for 5 years before I did my first 3-day workshop. I could see that coming up from many years in advance. It was a predictable outcome. I still agree with Steve Jobs that sometimes we can only connect the dots with the benefit of hindsight. Life has many twists and turns, and we don't always know where our paths will lead. I believe the core lesson here is how important it is to follow your curiosity. This is a bit different than the advice to do what you love. How do you know you'll love something if you've never done it before? I doubt Steve Jobs knew in advance that he'd enjoy typography. I didn't know in advance that I'd enjoy programming. But the curiosity to try it was there. When only curiosity is present, it's tempting to demand that it justify itself with the promise of practical value. But curiosity doesn't work that way. We begin with a desire to explore and experience something new, but it's merely a seed. We can't predict what will become of that seed until we plant it. These seeds may grow into fountains of value years later. Or they may remain side hobbies or casual interests. Demanding advance validation from these seeds is like telling to baby to go out and get a job. You have to nurture the seed for years to see what becomes of it. Recently I decided to follow my curiosity without knowing where it will lead. I've been feeling the urge to refresh my programming skills since I haven't done any serious programming in about a decade. I don't have any specific projects lined up. I just felt an intuitive nudge about it. So this weekend I started playing around with Xcode, a development tool for the Mac, iPhone, and iPad. I learned the syntax of Objective-C and went through several online tutorials. I wrote my first little iPhone/iPad app to draw a fractal and posted a picture of it on my Google+ page. 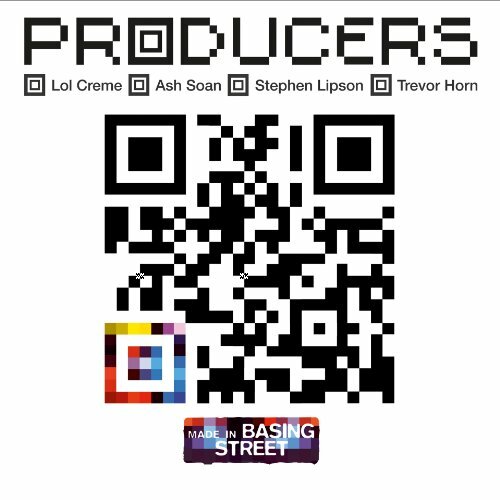 I'd never written an iPhone app before, so it was rewarding to do that for the first time. It was easier than I expected. Where will this lead? I have no idea. Maybe I'll write an app that ties into my personal growth work. Maybe it will remain a side hobby. Or maybe I'll lose interest within a week or two and explore other interests. I'm not demanding any sort of payoff from this. It's enough to honor my curiosity. Partly I feel that the excitement is in not knowing where this will lead. Sometimes it's nice to enjoy some mystery in life. Not all desires can be formed into goals. When I pursue interests out of sheer curiosity, they do often lead to valuable connections and payoffs down the road. However, there's also a powerful present moment benefit to such pursuits. When you follow your curiosity, you can experience some potent psychological rewards along the way. First, you have the pleasurable anticipation of knowing that you're going to learn something new, and secondly you have the satisfaction that comes with each new insight. This helps you feel good in general, even when you're not pursuing that particular interest, and this can greatly improve overall quality of life. What are you curious about? What would you like to learn just because it interests you? Have you been demanding that a curiosity-based interest justify its place in your life, such as by guaranteeing a financial payoff? What would happen if you could dive in and pursue a new interest merely to satisfy your curiosity and honor your intuition? Could you let that be enough? Years down the road, you may indeed find that you can connect the dots, just as Steve Jobs did. But for right now, could you let go of any psychological baggage and do it just because it might be interesting in the moment? There's no need to overcommit. If it doesn't work out, you can drop it after a day or two. There's no need to turn it into a long-term goal. There's no need to expect any particular level of performance from yourself. You don't even have to be good at it. In fact, you don't even have to love it. All you need is curiosity. You can always dump it if you truly hate it, but why not give it a try just for the sake of learning and experiencing something that calls to you? When you pursue a new interest, don't worry about plotting a course. Don't worry about not knowing where to begin. Start with a Google search to find some web pages about your hobby. Read those, follow some links, and bookmark pages that seem interesting. After an hour you'll have plenty of resources to get you started. What new interest could you pursue out of sheer curiosity? Why not set aside some time to look into it? How does next weekend sound? 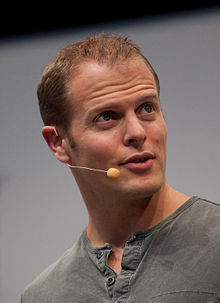 Tim Ferriss is the "super-human" author of two highly inspiring bestsellers, "The 4-Hour Workweek" and "The 4-Hour Body". If you are interested in creating a successful lifestyle and business, read these valuable (and free) lessons from Tim and guest writers. All the following posts are from 2012 and Tim's blog, "Experiments in Lifestyle Design". "How to build a high-traffic blog without killing yourself" and "The 21 WordPress plugins that keep me sane"
"How to build an app empire: Can you create the next Instagram?" "6 steps to crossing anything off your bucket list"
"The 10 best crowdsourcing tools and technologies"
"Paulo Coelho: How I write"
"The top 10 fiction books for non-fiction addicts"
"Six-figure businesses built for less than $100: 17 lessons learned"
"How to lose fat and increase productivity at work"
"How to become an effective CEO: Chief Emotions Officer"
"How bestseller lists work…and introducing the Amazon Monthly 100"
"Understanding the dangers of 'Ego-Depletion'"
And in November Tim's new book is coming out, entitled "The 4-Hour Chef: The Simple Path to Cooking Like a Pro, Learning Anything, and Living the Good Life". 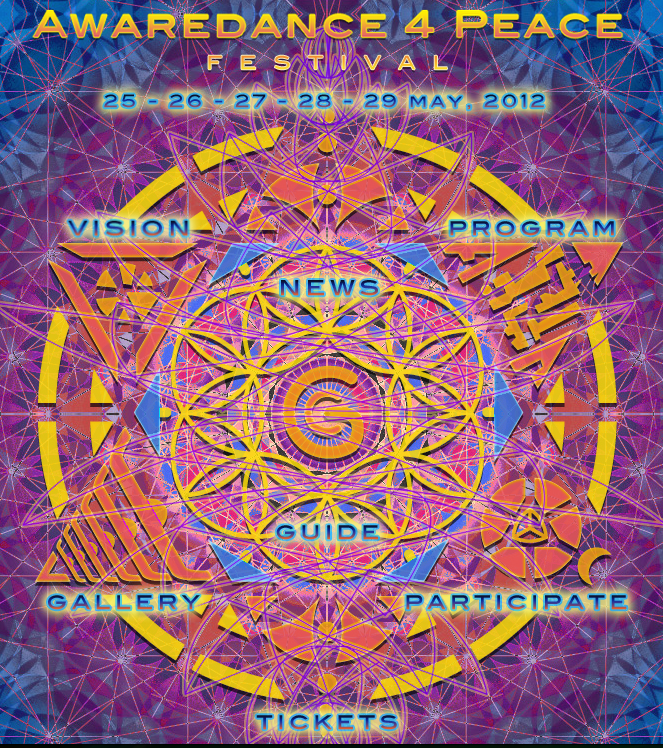 If you are in South-East Asia in May, check out the Awaredance festival 2012 at Mount Batur, Bali. 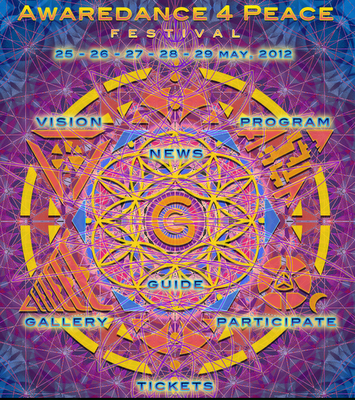 The festival focuses on trance, chill-out, awareness and healing, and runs over five full days, from 25th to 29th of May. 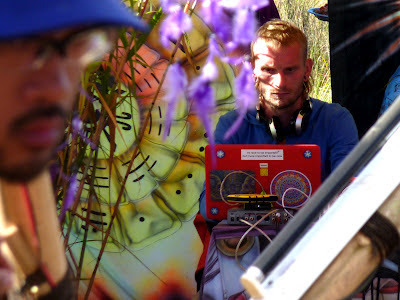 Last summer I was a DJ in the chill-out section, and hung out for the day after. Also check out this photo set by www.jberg.com with more shots, plus the pages of Baba and Osman, who organized the whole thing. I DJ'ed on on Saturday night, and it was reeeally nice to play some classic tracks for an appreciating audience who were dancing and chilling. Right now in this moment, all over Bali it's completely dark and peaceful. Since it's Nyepi and the new year, everyone is in "house arrest". 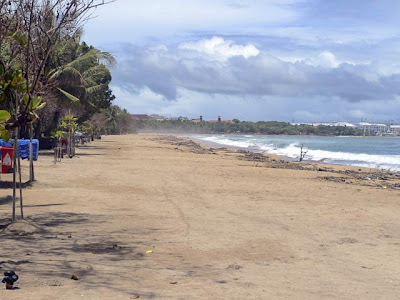 No one is allowed to walk on the streets or beaches from 06.00 AM this morning and for 24 hours thereafter, to make sure the evil spirits don't see anyone in Bali, and leave the island alone for the next year. The only people outside are the Pecalang, traditional security men from the banjars who patrol the streets and beaches to ensure the prohibitions are being followed. There are no lights (except in some of the bigger hotels), no music, no one is making any noise. You hear natural sounds you never noticed before - the sound of the ocean waves, the crickets, the frogs, the rustling leaves, small trees moving with the wind. Even the airport is closed, there is no traffic in Bali for 24 hours. 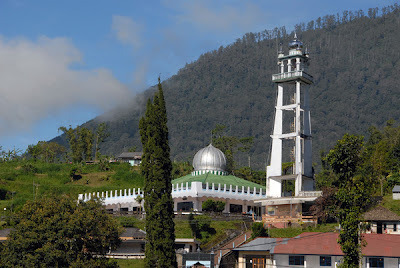 And even more amazing is that since Nyepi is on a Friday this year, the Balinese allowed the Muslim minority to go to the Friday prayer in the mosques. This shows how tolerant they truly are - even if the traffic and noise could make the evil spirits see that there are people in Bali, and thus ruin the whole point of Nyepi, they still let the Muslims attend Jumu'ah. Yesterday, after over a week of rain, the weather gods blessed Bali with sun, and the Balinese could do their rituals to celebrate their new year (Isakawarsa). I saw a beautiful ceremony, a spiritual dance that symbolized the battle between good and evil, and the whole banjar articipated or cheered. (Hint: Good wins.) The dance ended the Ogoh-Ogoh parade of monsters, here's a video. Another beautiful ritual that is part of Nyepi is Melasti, performed thee-four days before the silent day. 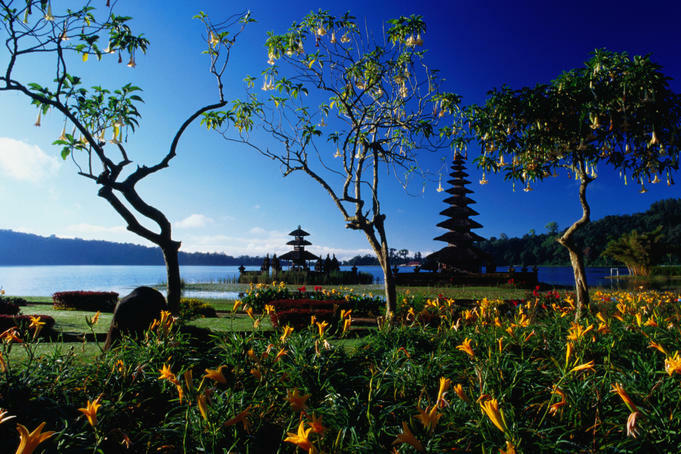 On this day the Balinese purify the sacred objects from their temples, and acquire sacred water from the sea. 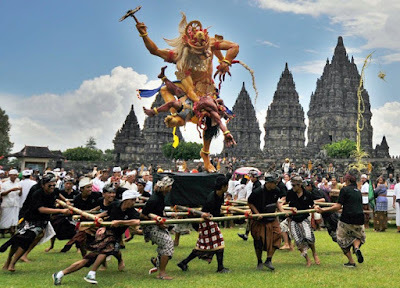 "Nyepi is very special and important to the Balinese, since this is the day that they have to fool all evil spirits that no-one is actually on Bali - hence the need for silence and darkness. If this can be achieved, then it is believed that the evil spirits will go looking elsewhere for their prey and leave the Bali island alone for another year. Police and security are on hand to make sure that everyone abides by this rule. Nyepi also serves to remind the Balinese of the need for tolerance and understanding in their everyday life. In fact, Hinduism on Bali is unique because it is woven into and around the original Balinese animistic religion. 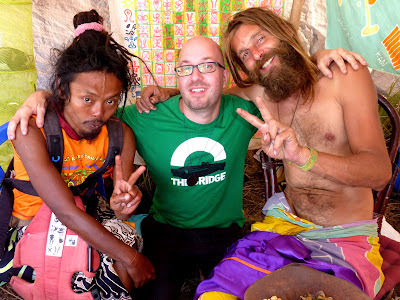 The two now have become one for the Balinese - a true sign of tolerance and acceptance! 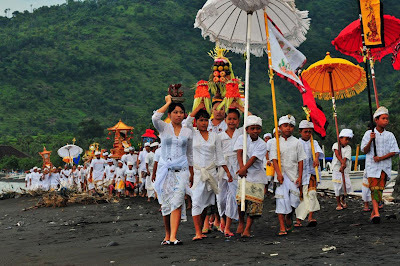 The silent day is part a series of celebrations to welcome the Caka New Year in the Balinese Hindu religion, and has been celebrated in Bali since the era of Majapahit. The essence of the feast of Nyepi is a self-introspection and reflection before the new year. For that a tranquil and quiet atmosphere is required to clear the mind and to ask the Creator that next year all the mistakes done in the existing year will not be repeated again in the coming New Year." 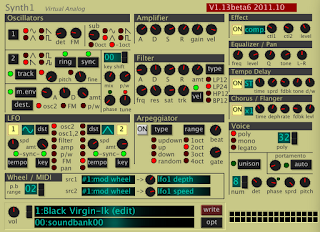 There are over 14.000 presets/patches/sounds available for the excellent freeware virtual instrument Synth1, all downloadable in various ZIP files that you can put in a folder and then access without having to unpack them. By the way - if you know about other banks that I have missed, PLEASE email them to me at pc@frankplads.com and I'll include them in the next update. Thanks! So - after you download the ZIP file, unpack it to a folder of your choice. Just make sure it's on your computer's internal hard drive. 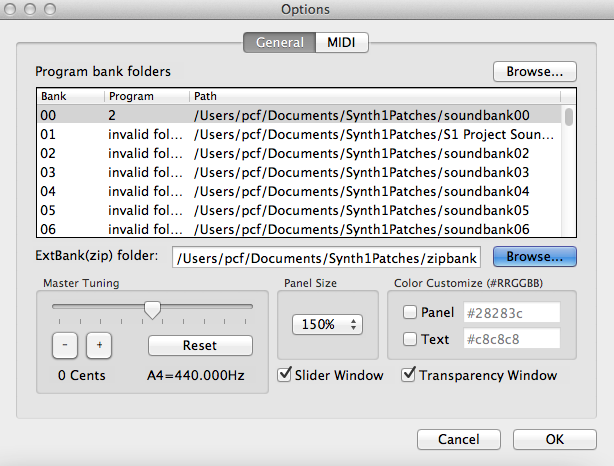 Then open Synth1 and click the "Opt"-button, then the "Browse"-button on the right side, and select the folder you just unpacked the ZIP-file to. Now click the arrow next to "External (.zip)" and you will see all the ZIP files. 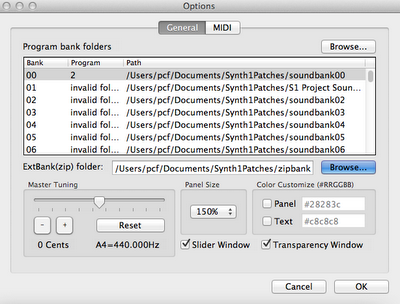 Click one, select one of the patches, and start making music! Also, if you have Windows you can try using this tool by James Parsons to randomly generate new sounds. If you are making music on a PC or Mac, try out the mighty freeware Synth1 by Japanese wizard Ichiro Toda. Functionally it's a virtual analog synth based on the classic Swedish instrument Clavia Nord Lead 2, and it can be used for anything from leads, basses, pads, strings to effects. Despite its huge sound it's extremely light on the CPU. People have reported being able to open over 100 separate instances, which means you can layer sound on sound and create complex moving soundscapes. For free! Here is a demo of some Synth1 sounds someone have uploaded to YouTube. * Tempo delay, stereo chorus/flanger, compressor etc. * Thoroughly optimized for light CPU load using SSE instructions etc. 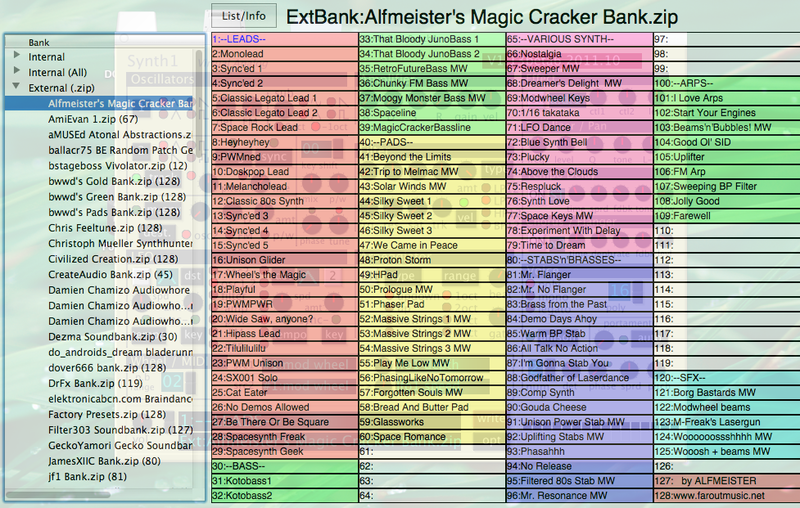 Click here to download for PC or Mac, then extract the file(s) into your VST or AU folder. When you want more sounds, here are over 14.000 patches in one small and handy download. Zoran Nikolic has written a very good manual for Synth1, and also has links to even more patches and resources. 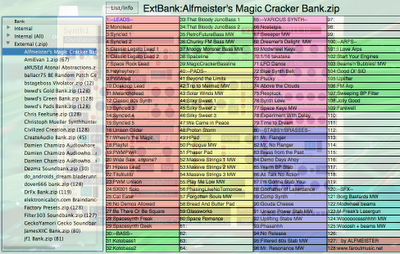 Plus he has also made a page linking to a lot of music made with Synth1. 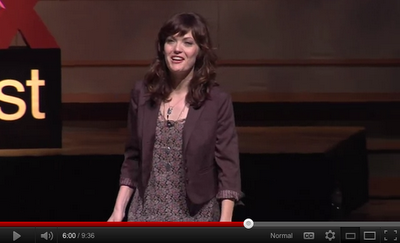 If you for some reason are feeling sorry for yourself, spend 10 minutes to view this TED talk by Amy Purdy. When she was 19 she lost both her legs below the knee - today she's a world champion female adaptive snowboarder, and a founder of a non-profit organization dedicated to introducing people with physical challenges to action sports. "Instead of looking at our challenges and limitations as something negative, we can begin to look at them as blessings - magnificent gifts that can be used to ignite our imaginations, and help us go further than we ever knew we could go. When I lost my legs, I had no idea what to expect. But if you ask me today if I would ever wanna change my situtation, I would have to say 'no'. Because my legs haven't disabled me, if anything they have enabled me. 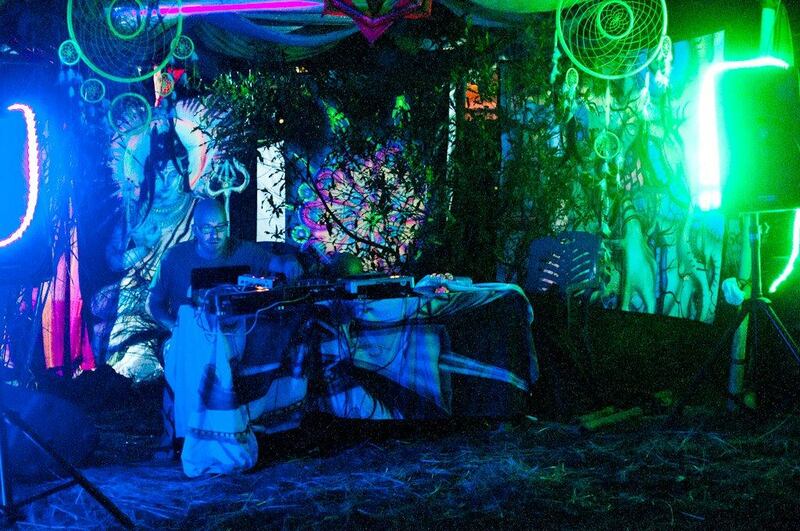 They forced me to rely on my imagination and to believe in the possibilities." Also check out her blog, Twitter and Wikipedia entry. 1) Body (physical needs) — what must you do? 2) Mind (talents and skills) — what can you do? 3) Heart (passion and desire) — what do you want to do? 4) Spirit (purpose and contribution) — what should you do? Check out the podcast or read the article it's based on. "Many people have been socially conditioned to believe that a career or job should be chosen based how well it pays and how qualified you are to hold it. This podcast will explain why that approach is completely backwards. Paradoxically by selecting a career based on money and skills, your financial and career results will be but a pale shadow of your potential. And even worse than that, you will virtually guarantee long-term unhappiness. Going to work each day will become something you only do because you have to, not because you want to, and staying motivated will be very, very hard. The path for conscious human beings is to focus first and foremost on joyful, creative self-expression. That is far more important than money, skill fit, or even contribution to others. Your own creativity is the very mechanism by which you’ll achieve everything else you could possibly want — including financial abundance, superior talent, long-term fulfillment, and meaningful contribution." SOPA/PIPA was stopped, and now ACTA is threatening the Internet in the same way. Please read this, it's important. ACTA is an international trade agreement currently being negotiated. One of the major goals is to force signatory countries into implementing anti file-sharing policies. This will in turn allow corporations and lobbyers to e.g. 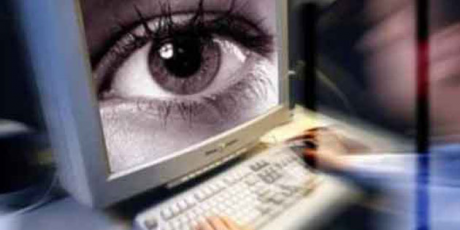 effectively control the Internet, and make Internet Service Providers responsible for what their users are doing. This would seriously cripple Internet freedom. Please share this on Facebook and other social media, informing your network about this danger. And read more at StopACTA. In 1998 Massive Attack released an 11 CD boxset called "Singles 90/98", trying to sum up all the singles, remixes and B-side tracks the band had released until then. But - for some reason Virgin Records managed to leave out a bunch of tracks that should have been included to make the collection complete. I don't know why that happened, but it's typical of record companies to mess up like that. In edition #42 of Steve Pavlina's "Personal Development Insights" newsletter, he wrote about the connection between money and social skills - namely that financial struggles can be a clear sign of social ineptness. Here's the full text, and if you want to read more, check out Pavlina's page on Google+ and his blog, and also sign up (on the left side of his blog) for these newsletters, since he for some reason doesn't publish them on the blog. Also check out his site, where he has many hundreds of free articles. His writing is very far from "wishful thinking" self-help, instead he's very direct, clear and cuts to the point quickly. If you're having some difficulty improving your level of financial abundance, let me share a perspective with you that I think will help. This will be a very down to earth perspective -- no need to invoke the Law of Attraction or use terms like "vibrational match" here. 1. Your skill at creating value such that others are willing to trade for it. 2. Your skill at executing trades with others. 1. Your ability to proactively befriend intelligent, resourceful people and add them to your social network. 2. Your ability to inspire people to refer helpful opportunities to you (resources, leads, clients, etc). 3. Your ability to serve as a positive source of inspiration and opportunities for others (maintaining win-win connections). 4. Your ability to prune and release dead-weight relationships (avoiding win-lose and lose-lose connections). 1. They often behave as loners and spend a lot of time alone or with the same few people (social isolationists). 2. The frequently suffer from approach anxiety and low self-esteem, which discourages them from initiating new connections and creating social expansion (social timidity). 3. They clutter their social lives with losers who have little to offer in terms of support, resources, and skill-building (low standards). 4. When they do meet intelligent and resourceful people, they act passively and fail to establish new friendships (lack of intitiative). 5. They remain loyal to a pity posse that consistently blocks good referrals with fear, jealousy, or sarcasm (clinginess). As a final thought... the key for me in creating this change was to admit to myself that being a social isolationist wasn't working. So maybe... just maybe... I should try doing the opposite for a while. I was already going bankrupt at the time I made this decision, so I figured I had nothing to lose by changing things up. It seemed worse to perpetuate the patterns I had while sinking into debt, so "do the opposite" seemed like a valid strategy. It took a while to feel comfortable with a more active and varied social life than I was used to, but it worked -- faster than I expected. In fact, on the Myers-Briggs test, I actually flipped from an INTJ to an ENTJ during that time, meaning that I switched from an introvert to an extrovert, at least according that that particular personality test. In the meantime, after sending this newsletter I'm going to fully enjoy some socially abundant time in Hawaii this week with 130 friends. As I sit on my balcony overlooking the ocean, it's a sunny 79 degrees with a light cool breeze blowing through the palm trees. Lately I've been noticing how much I'm enjoying my life -- and how different things are today vs. how they were many years ago when everything seemed like a struggle. 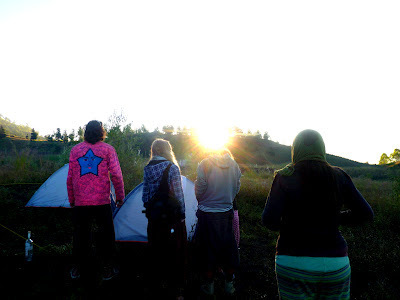 A key turning point was when I decided to step outside my socially comfortable cocoon of familiarity and to become a more active participant in the world. I started small, first by becoming more involved in an industry trade group, then in a larger subset of my industry, then by writing articles for lots of people, and so on. But it all began with the admission that my comfort zone was becoming a cage, and that I had to abandon it in order to keep growing. Ironic button, not really related to Pavlina's text.